Several months ago, George Vatchnadze of Kyomi Audio brought over a Lumin network music player for me to audition. When he left the Lumin he also inadvertently left a digital cable. George is an enthusiastic promoter of Stealth Audio Cables’ products, and the digital cable he left was the Varidig Sextet. I substituted the Sextet for my Aural Symphonics Echelon Digital and liked what I heard. Over the next several weeks I had folks over for listening sessions and interchanged the Sextet and Echelon, and every one of them preferred the Sextet, which was also my reaction. I made up my mind that I wanted the Sextet and decided that I would go for the newest version with the tuning collar option, and that I’d do the review after I purchased it. That was a good decision. 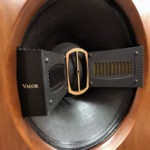 The Varidig Sextet is Stealth Audio Cables’ top-of-the-line “traditional” digital interconnect. I say “traditional” since Stealth also makes USB and i2s digital cables. 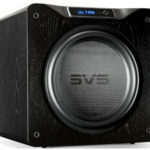 Stealth’s entry-level Varidig is no slouch as a digital cable, but as its name implies, the Varidig Sextet is six Varidigs bundled into a single digital cable. The current version, the V-14, is the 14th iteration of the Sextet, reflecting Stealth’s culture of continuous improvement. The specific cable being reviewed here is the V-14T, which incorporates an optional tuning collar that allows you to adjust the Sextet to your particular system. 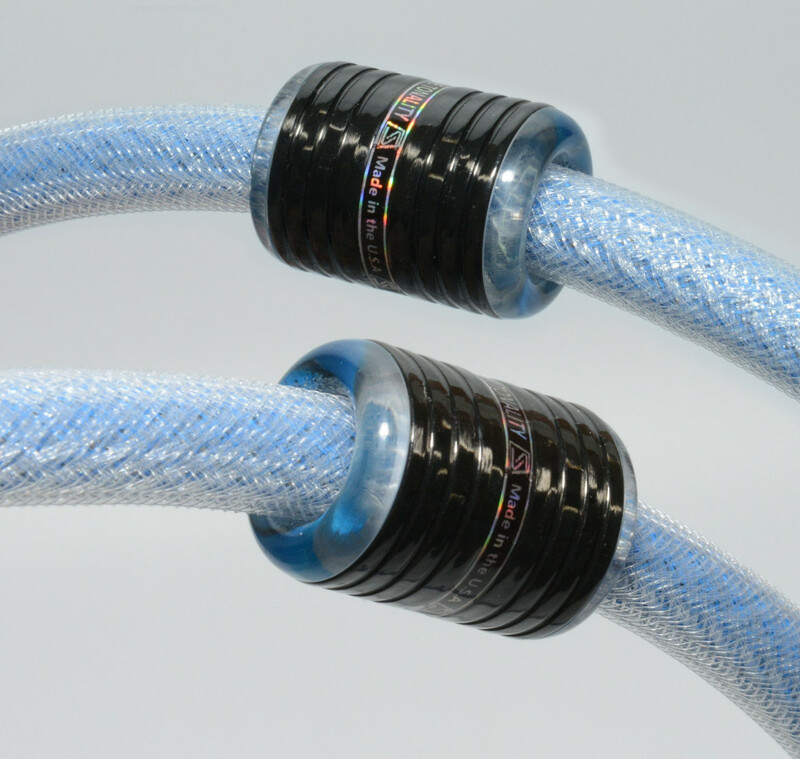 “Varidig Sextet is our digital cable design to “match” our flagship analog interconnect, the Sakra. The concept of running several identical digital cables in parallel is similar to “stacking” several DAC chips, employed in a number of the best DA converters; usually, such configuration increases low-level linearity, as well as subjective clarity and overall resolution. I received a 2-meter RCA and did not evaluate the AES/EBU. 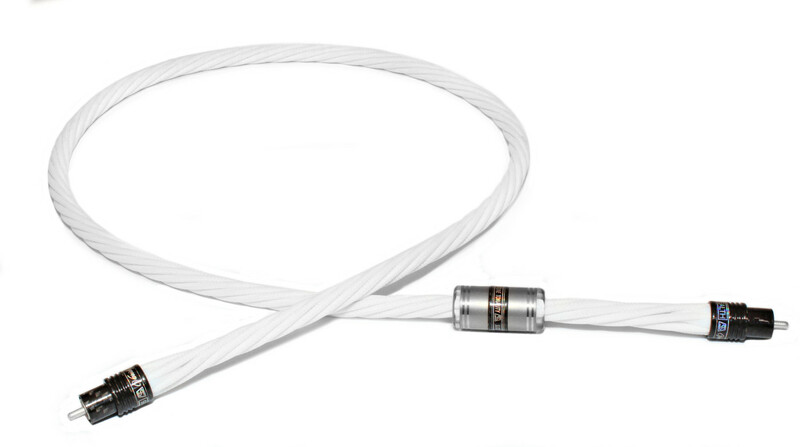 In addition to the signature design feature using six extremely thin hand-braided and individually insulated wires, the Sextet V14 features all solid silver/Teflon RCA connectors. 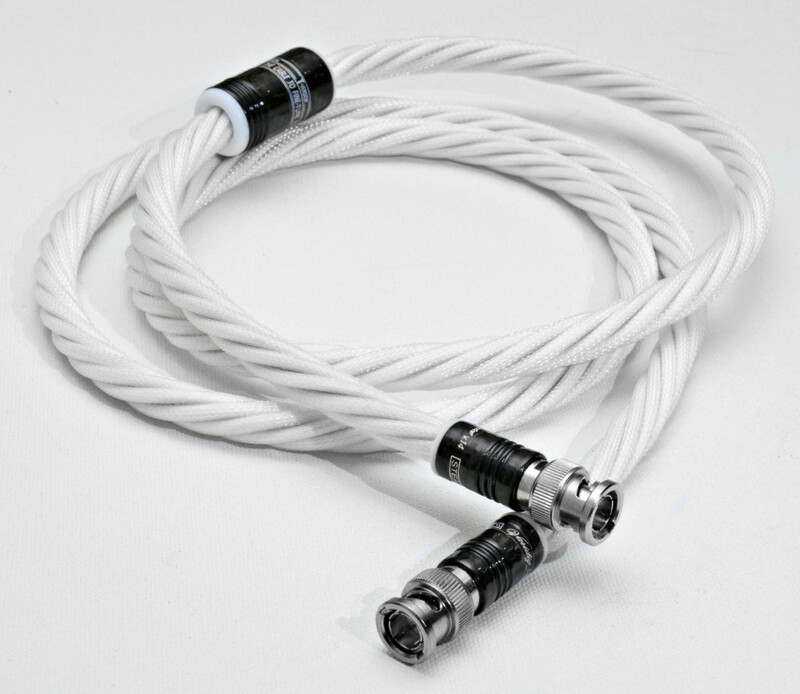 The cable itself is very flexible, with an attractive white outer jacket. After years of dealing with extremely heavy and stiff cables, I find the Stealth cables to be a joy to use (I also own will separately review the Stealth Sakra analog interconnect). I previously mentioned that I opted for the optional tuning collar. The tuning collar allows you to fine-tune the sound so that it best matches your system. Stealth recommends that you allow the Sextet to break in for about two weeks before working with the tuning collar. During this period it is suggested that you leave the collar approximately 6 to 7 inches from the transport/source. I have a fairly high-resolving system and I had no trouble discerning the differences in sound as I moved the tuning collar in small increments along the cable. I finally settled on a location about 4 inches from the transmission end of the Sextet, though I expect to do further fine-tuning whenever I introduce changes to my system. In addition to the Aural Symphonics Echelon, I have extensive experience with several other high-quality digital cables. In particular, for many years I used three Transparent Reference digital cables – two AES/EBU and one BNC – with Esoteric’s dual AES-3 connection system, which was the best-sounding way to connect Esoteric transport/DAC combos, with the BNC connection slaving the clocks. (Note that these have been replaced by reengineered Transparent Reference digital cables, which reportedly are superior to the older version.) I’ve also reviewed the excellent MIT Cables MA-X, which also allows you to tune the cable to your system. 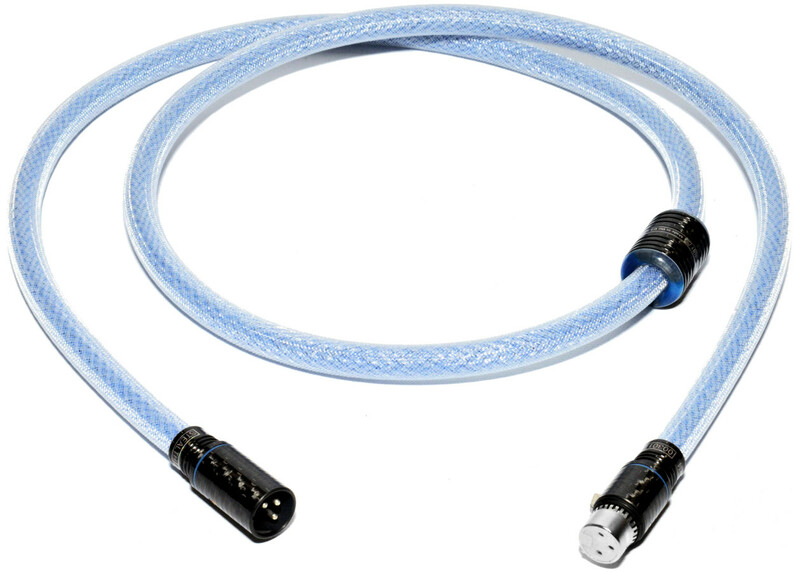 These two highly regarded digital cables will serve as my comparison cables in this review. 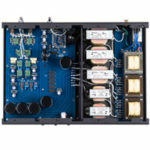 Suggested retail price for an RCA-terminated Varidig Sextet V14T (with the STEALTH proprietary Titanium/Carbon/Teflon/silver DIGITAL RCA connectors) is $2,900.00 for 0.6 meters, $2,700 for 1 meter, and $1,100 for each extra meter after 1 meter. I should note that though this is by no means the most expensive digital IC out there, it is more expensive than the comparison cables referred to above, except for the MIT, which is a lot more expensive. The Band – Music From Big Pink. Music From Big Pink is one of those albums that conveys a sense of looseness akin to an experimental jam session, but is in fact a demonstration of how each musician is an indispensable part of the whole. Though each musician takes his turn to be showcased, the band is always the star. As such, MFBP provides great opportunities to listen to the nuances provided by each musician, and the Sextet really allowed us to enjoy those nuances. In 2014, I read a retrospective review by a writer named Adam Lalama where he commented on Levon Helm’s “tasteful drum fills and farm-boy vocals,” Robbie Robertson’s “raunchy guitar licks,” Rick Danko’s hoppy bass-lines and eccentric vocals,” Garth Hudson’s “classically tasteful musicianship,” and Richard Manuel’s “soulful presence and piano abilities” and how they “all take their turn at the helm (pun intended) of Music From Big Pink.” This exactly describes why this album is great both for listening for individual instruments and for listening to the whole. It seamlessly conveys both viewpoints. With the Sextet in place the drums were the most realistic I’ve ever heard, including texture, impact tone and every other component that makes a recording evoke reality. Similarly, the signature vocals of each of the singers hung in the air like vocals do at a live performance in a midsize club setting. Robertson’s evocative guitar was highly nuanced but blended perfectly with the rest of the instruments. 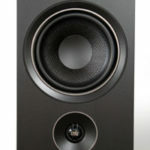 Compared to the Aural Symphonics, the Sextet was clearer in the lower midrange and upper bass, allowing a more accurate rendition of tones in that range. Compared to my memory of the Transparent Reference, the Sextet was more detailed and a bit more neutral throughout the frequency range. Compared to my recollection of the MIT Cables MA-X, the Sextet is just as detailed (and similarly tuneable), but projects a slightly more realistic you-are-there feel to the music. Norah Jones – Come Away With Me. OK, let’s face it – this album is all about Norah’s voice, and that’s what we listened for here. Not that the piano, violin, accordion or rhythm section don’t sound good, but Norah’s controlled, delicate and breathy vocals have so many nuances that they are ideal for the type of analysis that critical listening is meant to accomplish. Our listeners included two big Norah Jones fans who claimed to be extremely familiar with this album, and had heard it in its Redbook, SACD and vinyl formats, as well as my own 24/96 digital file. Their verdict after multiple listens: the Stealth over the Aural Symphonics. Most often cited was the incredibly emotive detail that accompanied Norah’s pitch-perfect delivery. Some of the comments may have gotten a bit exaggerated, but in essence our listeners felt that they could hear Norah’s voice originate in her chest, come up her throat past her vocal cords and flow over her lips as the words came out. I think one or two of the guys in the group wanted to marry her. From my own sonic memory, the old Transparent Reference was not as detailed and the MA-X not as emotive. Sonny Rollins – Way Out West. I learned a new word when we listened to this album. One of my guests said that he could feel/visualize Rollins’ “embouchure” and the rest of us said “huh?”. He explained that “embouchure” is the way that the player applies his or her lips to a brass or woodwind instrument. According to Wikipedia: “While performing on a brass instrument, the sound is produced by the player buzzing his or her lips into a mouthpiece. Pitches are changed in part through altering the amount of muscular contraction in the lip formation. The performer’s use of the air, tightening of cheek and jaw muscles, as well as tongue manipulation can affect how the embouchure works.” None of the rest of us had ever played a saxophone, so we had to take his word for it. Nonetheless, the rest of us could, or at least we thought we could, detect Rollins’ swinging his tenor sax in front of the microphone. We also felt that Shelly Manne’s cymbals had more realistic shimmer with the Sextet in play. Supertramp – Crime of the Century. This album has its own unique sound – not quite progressive rock and not quite pop. Whatever genre it is, the album is also a sonic masterpiece with incredible dynamics. It opens with a slow wailing harmonica intro to “School,” followed by a strummed/picked guitar section before the song finally takes off with gusto. “Bloody Well Right” gives us Supertramp’s signature Wurli piano, as it opens the song with a solo, before hitting intermittent explosive stacatto notes that lead into the main body of the song. Each of these songs careens between slow quiet passages and pulsating rock-n-roll and reveal a component’s ability to quickly jump from one to the other. Again, the Sextet came out on top, being both fast any extremely dynamic. I can’t say that the difference between the Stealth and the other cables was dramatic, but the improvement was there nonetheless. Alan Parsons Project – I, Robot. This album leans heavily on a wide range of keyboard and synth sounds. The album starts with what could be called ambient sounds and morphs into a series of rhythms before becoming a synth – and guitar-driven piece of instrumental funk. This opening can easily lose its separate instrumental lines and collapse into mush. I’ve used it as a piece designed to demonstrate how well a piece of equipment separates details without losing the essence of the overall performance. Again, the very natural detail of the Sextet really stepped up the performance. Perhaps the MA-X is equally good at this feat, but once we got to the vocals we again preferred the Sextet. I still think that the Aural Symphonics Echelon is perfect for a high- system that suffers from a touch of “digititis,” but the Stealth Varidig Sextet V14T has given me the cleanest, most extended digital I’ve ever heard in my system, and in virtually any other system I’ve heard. It used to be that “clean” digital could sound very clinical or etched. Great strides have been made to address this issue, and my experience with the Sextet has demonstrated to me that a digital cable doesn’t need to sound “warm” to sound great. Expensive, but heartily recommended without reservation. Thank you for the review. The Sextet is an unusual cable, with a number of features and details which are sometimes not obvious even to an experienced reviewer. We now have a V16 version of the Sextet, to be released in the next two weeks. The V16 version is sonically more refined because of a newer ferromagnetic composite in the tuning collar, and the collar itself being made of machined Titanium – versus carbon in the V14, and the difference is clearly audible. The reason for us to update the tuning collars is that while the ferrite is not conductive electrically, alnico and other nickel alloys are conductive, and it is well known in the dynamic transducers industry that it makes a big difference. Our V14 collars make use of ferrite, while our V16 tuning collars are made of conductive metal flakes, and this is where the difference comes from. Sextet V14T (1m): S/PDIF $3,200, each additional meter $1,100; AES/EBU $4,100, each additional meter $1,300.